If you have details about a boat you would like to see featured please email me. Mingming, then called Phaedra, as I first found her at Woodbridge. First sea trials - in the not-so-bleak mid-winter. 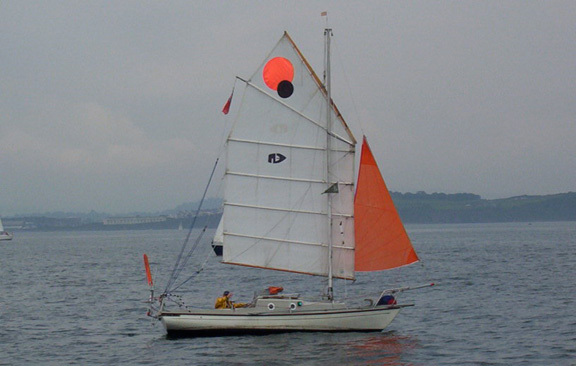 Mingming is a very small yacht, a 21' Corribee MKII, Junk rigged w/small jib and extensively modified by her owner Roger Taylor. She and Roger have had some very ambitious and adventurous cruses. 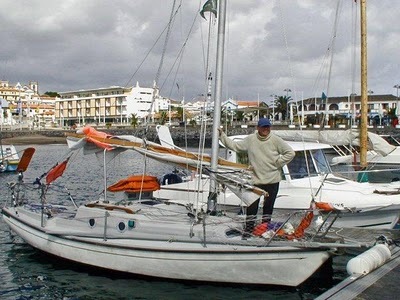 After a lifetime of sailing and building boats for himself, Roger has formed some very firm ideas about what he wants in a cruising boat. Mingming is the culmination and result of his philosophy of cruising, his experiences and his experimentation. 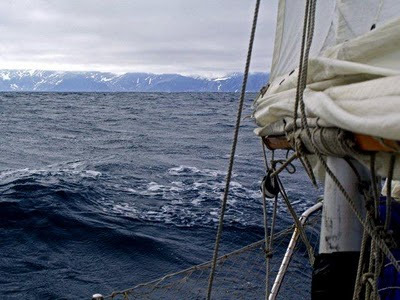 She was originally concieved as a vessel to compete in the Jester Challenge, a rather demanding undertaking, but lately he has moved on to pursue what may be considered even more ambitious undertakings, cruises above the arctic circle. Just caught me in time! I leave with Mingming for Scotland, by road, on Sunday, bound once more for Whitehills on the Moray Firth. Another northern voyage this year, the target being 80°N, to the north-west of Spitsbergen. 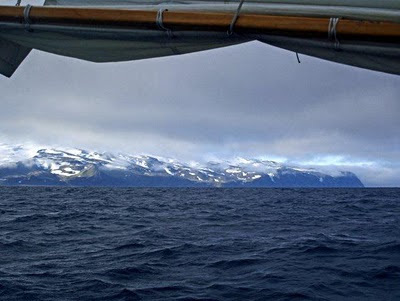 On the way I intend to visit Jan Mayen once again, with the hope that I might be able to catch the island in clear weather and get a proper view of the 7000’ volcano Mt Beerenberg. If things go well I should have plenty of time in hand, and may also nose around the islands of south-east Svalbard and stick my nose into the Barents Sea. The other main news is that both my books are coming out soon in Russian. Voyages of a Simple Sailor is now at the printers, and the Russian translation of the second book is almost complete. I’ve had great fun working with the translator, a retired Russian merchant master mariner (fortunately I am reasonably fluent in Russian). Looks too as if both books will be published in French before long. Have a good summer (I should be back mid-August)." 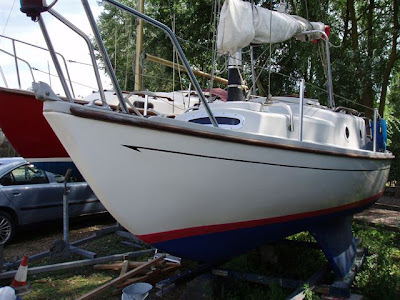 So, Mingming is both Junk rigged and a twin or bilge keel boat which should go some way toward answering questions about either of these design element's suitability for long distance cruising. I will hopefully be writing about their cruise upon their return in August on 70.8%. Tom - a well deserved entry, I've always thought the Corribee is one of the sweetest hulls around, my "fantasy modification" would be to rip off the cabin and deck to make a really great open day sailor ... a better fin keel and higher performance rudder would also be nice - mind you Roger and others have shown what a great offshore boat she is so maybe a day sailor would be a waste of her capability. Enjoyed seeing MING MING, here. Taylor's is the kind of approach I really enjoy... getting out and about in small, robust craft is the kind of thing that will get the dreamers out of their armchairs in ways the big beauties never will. PS. I've only had a chance to skim one of Roger's books, but their on my Xmas list! 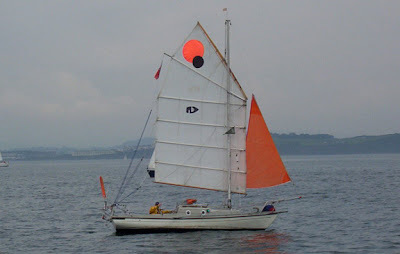 "So, Mingming is both Junk rigged and a twin or bilge keel boat which should go some way toward answering questions about either of these design element's suitability for long distance cruising"
I don't think there's really any doubt about the suitability of junk rig for long distance cruising (think of "Jester", "Ron Glas","Galway Blazer" and "Badger", for example). Nor about twin keels. 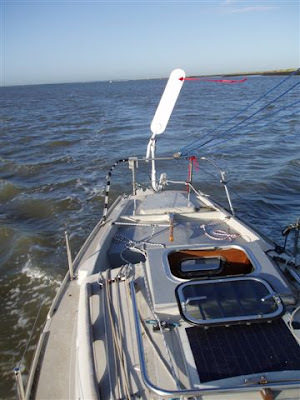 I've now sailed "Tystie" (junk rig, and twin lifting bilgeboards) 60,000 miles, over the length and breadth of the N and S Atlantic and the N and S Pacific. 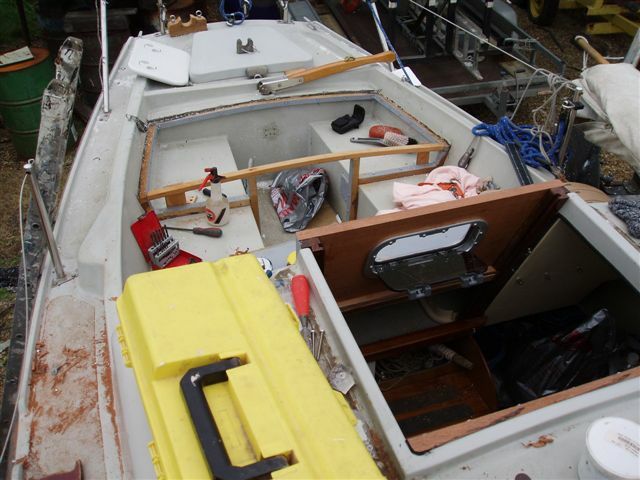 Other owners of junk rigged boats have done as much, or more, long distance cruising . We want to create a collection of 1001 Boats. 1001 Boats which inspire, boats which fascinate, boats which captured the imagination of a small boy, boats which carry grown men to adventure, boats which are too important to be forgotten, boats which are beautiful, boats which are significant. Perhaps not 1001 Boats which you really need to “see before you die,” which was the inspiration for this blog, but your favourite boats, boats which are important to you. They can be boats you have built, boats you have sailed, or boats which you just plain admire. 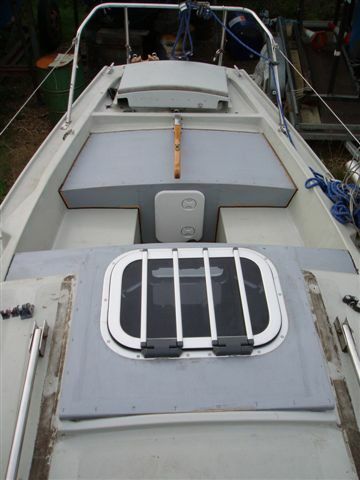 Please email photographs and text which reveal a little of the story behind the boat and why it’s important to you. Two charities have been selected which deal with fundamental human problems clean water and curing cancer. Access to clean water continues to be a problem for millions of people around the world. Let’s try and change that and help prevent the deaths of 4000 children who die every day through lack of clean water. Cancer continues to be one of the major killer’s. It’s difficult to find anyone who doesn’t have family, friends or colleagues who have been touched by the disease. While remarkable progress has been made in the treatment of cancer there is still a long way to go. Helping to fund research is a way we can all contribute to this giant undertaking. It’s important to say that you must own copy write to any photographs, pictures and words which you send. If you would like to get more involved we are seeking contributing authors who post regular items - please email if you would like to get involved. 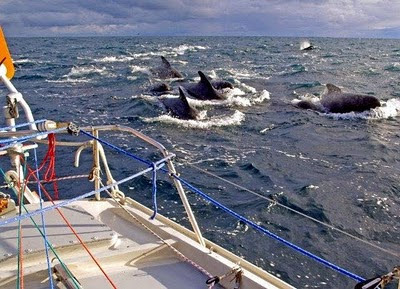 Our aim is to have an interesting and extensive blog of boats which people can enjoy. If you like the blog then please use the links and to donate directly to two nominated charities. The most important part of all of this is the boats, so here’s the call to fellow bloggers, followers or anyone who has an interest, “there really is nothing - absolutely nothing - half so much worth doing as simply messing about in boats." All words and photographs published on 1001 Boats are subject to copy write either of 1001 Boats or the original owner who has authorised their use. They may not be reproduced elsewhere in any form or medium. Ethereal theme. Theme images by epicurean. Powered by Blogger.